In recent years it has become obvious that operational use of natural resources assuming their stationarity represents too narrow view of this complex issue. A change of paradigm seems to be developing, the two main principles of which are: the increased role of geo-sciences in assessing non-stationarity of resources potential, and postulate for their sustainable exploitation in the face of global change. Sustainability criteria provide a framework for prioritising competing interests and for making decision about safe and stable use of resources. The concept of climate simulations with quasi-realistic climate models is discussed and illustrated with examples. The relevant problem of deriving regional and local specifications is considered as well. Observations of climate parameters show warming in the last decades in comparison with the beginning of the previous century. This makes the question of climate change a live issue all the time. Especially significant are regional reconstructions and projections of climate variables. We are responsible for a sustainable development of our environment so we try to estimate all possible climate scenarios as it can have a great influence on each domain of our life. Variability of clouds exerts an important impact on the Earth's energy budget. Clouds affect the incoming solar radiation by absorption and reflection as well as the long-wave radiation by absorption and emission. Some of the cloud-climate feedbacks lead to the cooling of a surface, whereas the other cause its warming by enhancing the greenhouse effect. Thew next result of the cloud-radiation feedback depends on a variety of factors. 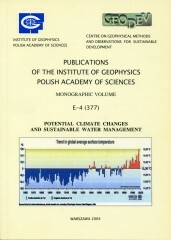 The following areas of research related to the climate/water resources interface may be identified: detecting changes in hydrological variables by means of measured indicators, including paleohydrological data, assessing sensitivity of land surface processes to climate, analyzing implications of climate change on water supply and demand, assessing the impact of climate on physical, chemical and biological processes in water bodies. Author(s): Cadavid L., Obeysekera J., Trimble P., Loucks D.
Managing water in the face of uncertainty regarding future supplies and demands is a common challenge facing water resources systems planners and operators throughout much of the world. Infrastructure built to provide reliable amounts of water where and when it is needed given this uncertainty have typically been designed and managed assuming that the climate providing the uncertain supply is a fixed or stationary stochastic process, one nicely quantified based on past hydrological and meteorological records. We know today that is not necessarily the case. We are also learning more about what makes the climate change over relatively long periods of time. Recent advances in recognizing global scale climate patterns have made climate-based (rather that weather-based) hydrologic forecasts a useful input to the planning and in the operation of major water resource systems. This talk will discuss one such example. The term extreme event is exemplified by heavy rainfalls during which the thresholds of various processes like overland flow, slope wash, various mass movements as well as bankfull discharge and overbank deposition are exceeded. Water resources depend on the hydrological cycle, which in turn is part of the climate system. Since a river basin integrates local physical-geographical conditions, including the meteorological variability, the streamflows react to climate changes. At the same time, streamflow is under the influence of human activities. The human activities changed the regime of river flow significantly. Since 1975 the streamflow of Bulgarian rivers were strongly altered. The aims of this study were to investigate changes in river flow behaviour due to changing climate. 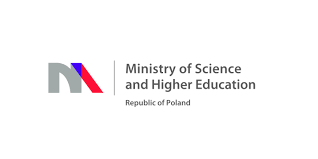 Author(s): Mengelkamp H., Dubicki A., Dybkowska-Stefek D., Ewertowski R.
In July 1997 two episodes of heavy rainfall in the upper catchment of the Odra river caused severe flooding in the Czech Republic, Poland and some areas in Germany. Hundreds of cities and villages were inundated, more than 100 casualities occurred and vast areas of land were flooded for weeks. The critical situation had to be assessed by the disaster management authorities for taking adequate and effective measures. Almost 50 years ago, climate change was identified as a single most serious problem facing water resource managers. The question posed at that time was how to account for the possible climate changes when designing and operating water management projects intended often to last for many decades. This question has still not been fully answered. Author(s): Zalewski M., Wagner-Łotkowska I. According to the strategy defined by the International Council for Science (ICSU), the science in the XXI century should actrvely participate in creating vision, strategy and implementation of methods important from the point of view of sustainable development. The attitude that accelerates the above actions should be based on integration of related fields of science. The condition for development of comprehensive, integrative, interdisciplinary scientific research is the "maturity" of empirical disciplines that undergo the integration process. Author(s): Wiberg D., Strzepek K.
China is a country that is developing and changing rapidly and concurrently tries to be 95% self-sufficient in grain with only about 15% of land in China arable. The combination of the large and still growing population of about 1.3 billion, increasing incomes, and the agricultural policies, put tremendous pressure on the country's water resources. Studies in China have shown that water is already considered scarce in the regions with the greatest population density and agricultural activity. Water management has to cope with three extreme event problems related to water: too little, too much, and too dirty. All these problems may be exacerbated by climate change and all may lead to disasters. 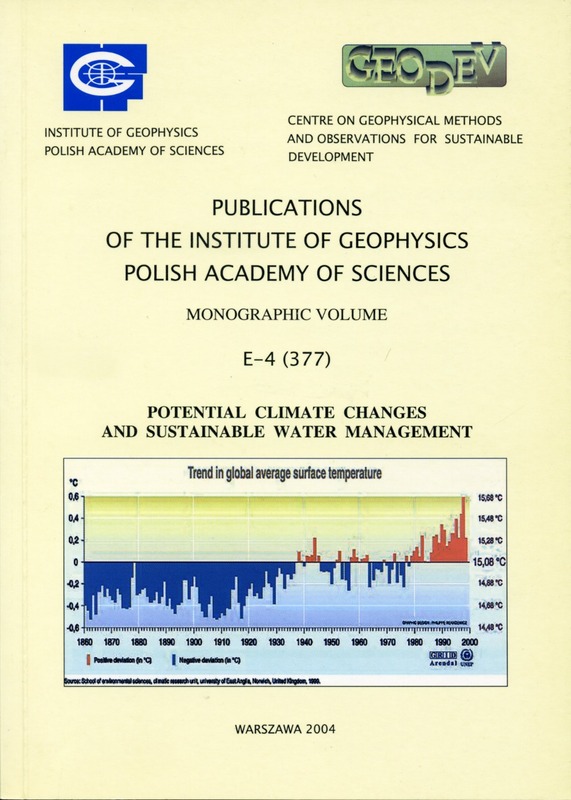 In the present contribution, the issue of hydrological extremes - floods and droughts - is examined in the context of climate change.